On our journeys in life, we have periods where we are ill or go through some form of trauma. We all have been there. We go through all kinds of emotions, hopelessness, tests of faith, break-ups, make-ups, drama, perhaps death, physical injury, you name it. Most of us can, without much delay, easily recall something that left us bothered, scared or changed for good. I believe that these things occur to teach us some valuable lessons in life. It teaches us things about our society and environment, what might need to be restructured or let go, but mostly about ourselves. How do we react to certain things? What do we make of it, once the dust has settled? Do we fight hard to change ourselves? Or do we fight the person or situation that made us uncomfortable? This can of course be discussed to death as this range is a big variable, some things are lighter to deal with and some things can take a lifetime… or even follow us when we have left our physical bodies this time around. The whole purpose, for someone that has goodness inside and that wishes to exercise that energy upon the world, is to take that lesson, gift wrap it nicely and give that gift to someone that they may or may not know. If you are an expert at how to recover from heartache, it might just be your life destiny to help other people overcome heartbreak. If you are great at falling down from a steep mountainside and break your bones, yet somehow manage to heal and get back on to that mountain again, then you must be a source of inspiration to your fellow climbers. Get out there and share! You see, this world would have been a much uglier and darker place if it weren’t for the lovely helpers and healers that inhabit it. Some of us were lucky enough to be born through and to women that would nurture us when we were ill. The tendency to heal another, when they’re needy, is there and ingrained from birth. Take this natural tendency and water it, make it blossom, and let that flower release its beautiful aroma. You can have deep impact on others, just by being there, helping, reaching out. The funny part is that once you have showed up, to make sure that your presence is counted for whomever it is that is needy, you might not have to do much more. Turns out that what most ill people need is truly someone to see them and just BE with them sometimes. This can, as previously mentioned, be discussed due to the range of neediness and etc., however the interesting part still remains the same. Healing yourself through others is not meant for you to be an energetic vampire or selfish in any way. No, what I mean by this is that there is a quality to the exchange of energy that takes place between people that give and take to each other, that definitely brings soothing and healing rays to the part of you that might be suffering (could be both conscious or subconscious). 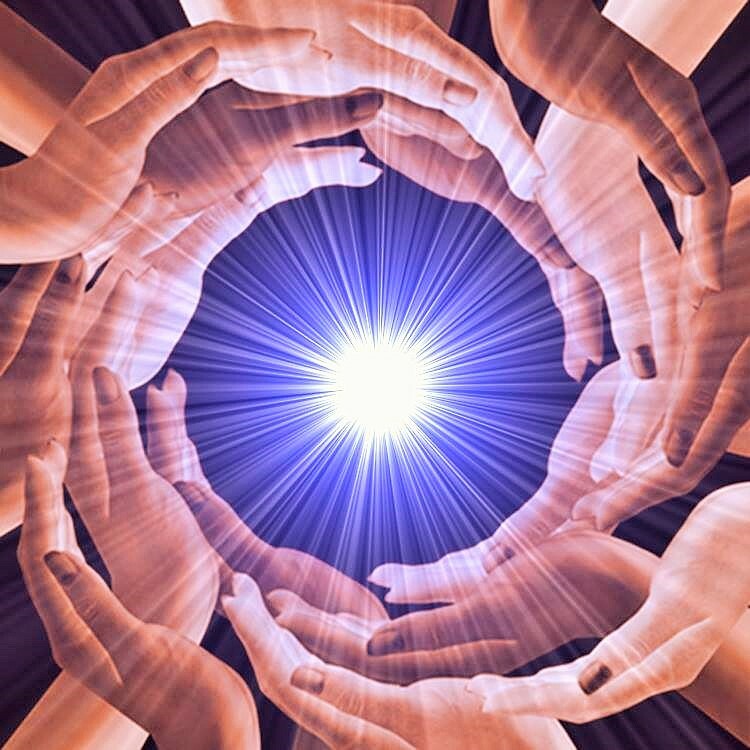 According to Universal Law, there is never a giving of energy that will not be received in another way or vice versa. Same goes for creation: Once something is created, it cannot truly be destroyed but changes shape or energetic resonance. If you feel something, such as this emotion we call love, then if a relationship ends, then love doesn’t die but merely changes expression toward another space or face or situation. What we want to heal and nurture in others, will eventually be a source of healing within ourselves. The psychologist that so kindly wants to hear you out, might not really be heard at home himself. What do you know? Maybe he is lonely, seeking out a profession that gives him one-on-one time with other people. Maybe he went through so much trauma in life that he tries to heal wounds through seeing others getting relieved from pain when in his office. The nurse that helps you out post-surgery, she might have had a poor childhood that couldn’t offer her adequate care, so she vowed to help others in a hospital setting as a career and a means to soothe her memories. Most healers for example, are plagued by something called “the healer’s disease”. They have been so wounded that all they can think of and all they want to do is heal others. There is a sense of deep compassion that one embodies, after being through too much trauma (unless you get incredibly depressed and just give up on life). It evolves into being your life purpose. And so what is occurring is that one thinks that “I’m healing this person” when in fact, you are just healing a part of yourself or soothing a scar that has been left after being healed (energetically speaking or physical, doesn’t matter). Whatever positive that helps, stick to it. Educate yourself, evolve and most importantly, share the love. Forward to someone in need or hop to your feet when you see that no one else does, to run over to that stranger that needs a hug. For truly, that stranger is just a mirror reflection of yourself, no matter how cheesy it may sound. We are connected, so as we do harm to another, we are hurting ourselves. The rule goes for healing as well. So enjoy healing others and helping others, because that is you loving yourself in another way. And when you love yourself, everyone around you benefits.